Mother Goose Fairy Tales; Sleeping Beauty, Beauty and the Beast, Tom Thumb, Empress of the Pagoda and The Fairy Garden, performed to the Mother Goose Suite score and scenario by Maurice Ravel, will feature original choreography by Director Ilena Norton and Gregory Gonzales. 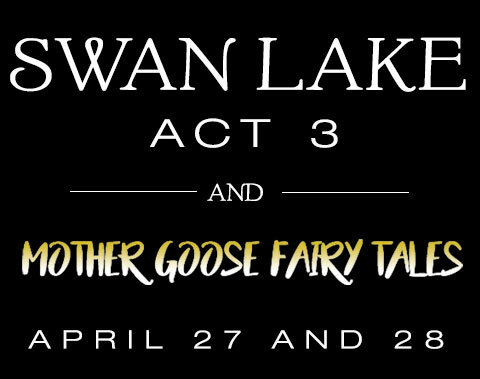 Ballet Ariel’s original choreography for the Mother Goose Fairy Tales will be the perfect complement to Patricia Renzetti’s and Oleg Dedogryuk’s staging of Act III of Swan Lake, creating a dramatic and entertaining production appropriate for all ages. The fanciful nature of the five fairy tales will balance the breathtaking drama of Swan Lake.